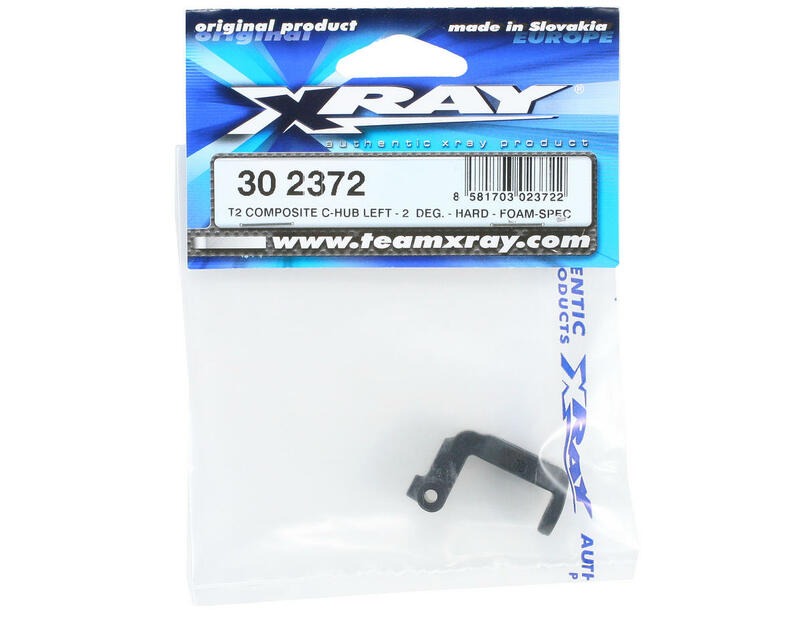 This is a optional XRAY Molded Composite Hard Foam-Spec 2° Left Side C-Hub, and is intended for use with the XRAY T2 family of vehicles. 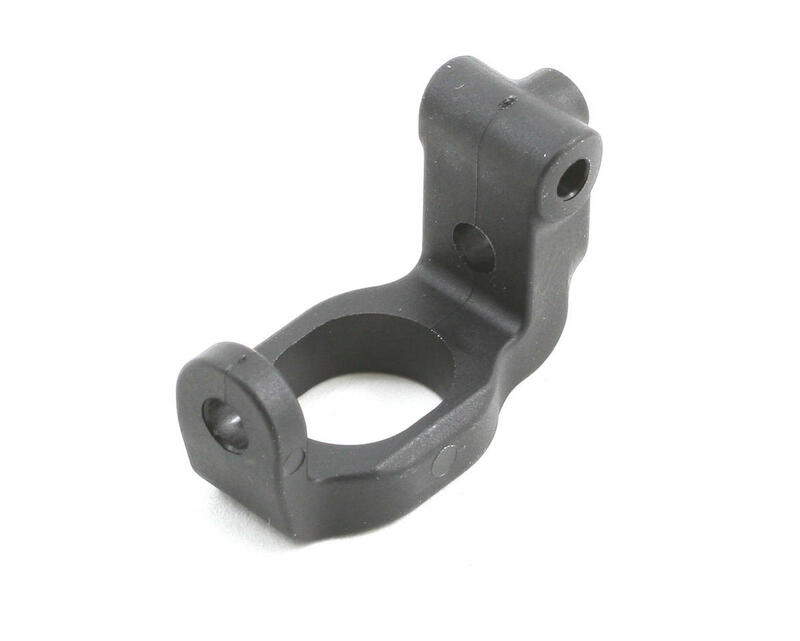 This Molded composite C-hub for the right side steering block has a pre-set caster angel of 2°. Hard rigidity for rubber-tire racing. Use with matching right-side C-hub #302371.